SkyWest, Inc. reported 135,000 block hours in February 2018, compared to 137,100 block hours in February 2017, a decrease of 2,100 or 1.6%. 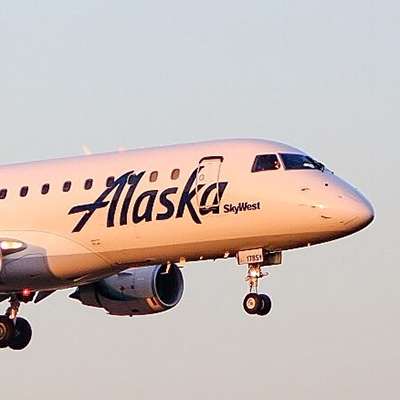 The net decrease was consistent with SkyWest's fleet transition plan to improve the mix of aircraft in its fleet by adding new E175 aircraft while reducing its 50-seat jets. In February 2018, SkyWest's dual class aircraft represented approximately 52% of SkyWest's total block hour production for the month compared to approximately 48% for the month of February 2017. Based in St. George, Utah, SkyWest, Inc. is the holding company for two scheduled passenger airline operations and an aircraft leasing company with more than 17,000 employees. SkyWest's airline companies provide commercial air service in cities throughout North America with nearly 3,000 daily flights carrying more than 50 million passengers annually. SkyWest Airlines operates through partnerships with United Airlines ("United"), Delta Air Lines ("Delta"), American Airlines ("American") and Alaska Airlines. ExpressJet Airlines operates through partnerships with United, Delta and American.